To help you out, here are 7 ways to make use of the leaves in your lawn. Did you know you could donate your leaves to local schools? If you bag your leaves, be sure to ask to see if any schools in your area want them, since they could be put to use in student projects. Also, ask your neighbors, since they might use the old leaves in compost or for mulch. Consider using a lawn sweeper for piling your leaves, since it tends to be faster and more efficient than a rake. If you use mulch, this trick will save you time and money. Using your leaves for mulch will protect your perennials from the harsh, wintery conditions. Furthermore, it will protect some of your other plants from becoming frozen and dying. If you make compost with your grass clippings every summer, you can supplement it with dead leaves. Your old leaves are rich with carbon, and compliment the clippings, which are rich in nitrogen. When you add the leaves to your compost, make sure to add one inch of clippings after every 3 inches of leaves. Your leaves can be used as weed barriers, which keep moisture in your soil and prevent more weeds from growing. Leaves can supplement hay for your animal bedding. Do you, your spouse, or your children enjoy crafts? Leaves are can be used for making artistic projects, too. Mowing your leaves chops them up into small pieces, which will decompose and enrich your lawn with their nutrients. As a bonus, this serves as a faster alternative to raking. The hassle is minimal and it will go much faster than digging your rake from your supply shed and manually raking the leaves into piles. After you’ve found a use for your leaves, what do you do about the rest of the care your lawn needs? 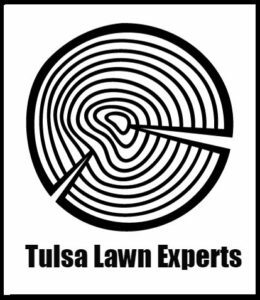 Contact a Tulsa lawn service near you for assistance. Tulsa, Broken Arrow, Coweta, Sand Springs, Sapulpa, Prattville, Bixby, Leonard, New Tulsa, Gregory, Verdigris, Owasso, Turley, Claremore, Catoosa, Muskogee, Tallequah, Bartlesville, Beggs, Bixby, Bristow, Catoosa, Chelsea, Cleveland, Collinsville, Davenport, Delaware, Depew, Dewey, Drumright, Foyil, Glencoe, Glenpool, Hallett, Hominy, Inola, Jenks, Jennings, Kellyville, Mannford, Maramec, Milfay, Mounds, Okmulgee, Oologah, Pawnee, Red Rock, Sapulpa, Skiatook, and Sperry. Zip Codes: 74127, 74107, 74131, 74132, 74133, 74063, 74115, 74116, 74112, 74012, 74108, 74128, 74134, 74015, 74014, 74011, 74429, 74008, 74047, 74436, 74010, 74044, 74063, 74021, 74070, 74066, 74123, 74039, 74047, 74008, 74421, 74436, 74454, 74467, 74401, 74023, 74079, 74058, 74045, 74032, 74062, 74650, 74637, 74084, 74002, 74021, 74006, 74048, 74003, 74056, 74652, 74881, 73045, 74855, 74869, 74860, 74829, 74840, 74859, 74833, 74437, 74432.